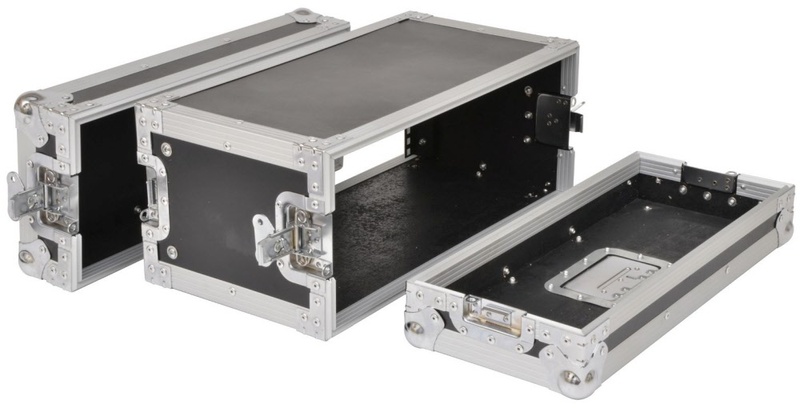 4U Flight case, particular suitable for rack equipment which is not very deep. Light weight constructed from 6mm multiplex ply. Fitted with butterfly type locks, fold down recessed handles, internal front rack mounting supports and are supplied with captive rack screws. Heavy duty chromium-plated ball corners, reinforced aluminium profile edges for maximum protection. These cases are suitable for housing effects processors and radio microphones.